The Borders Railway was officially opened by the Queen on Wednesday. 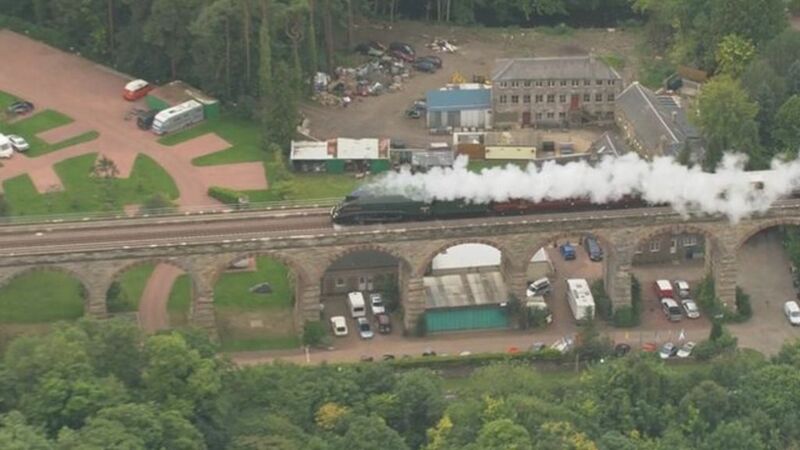 On the day Her Majesty became the longest-reigning monarch, she boarded a steam train to make a special trip from Edinburgh to Tweedbank via Newtongrange. The Union of South Africa carried the royal party and First Minister Nicola Sturgeon along the route. Aerial footage of much of the new Borders Railway on the day it is opened by the Queen.